A couple of days ago I told you about an error message that some Project Fi users received erroneously. The error message indicated that their data usage was being throttled due to high usage and, in some case, users SIMs were disabled for a period of time. The Fi team indicated that they knew of the issue as it was a test of a new feature that was never intended to leak outside. Now they are trying to make it up to users who were impacted. 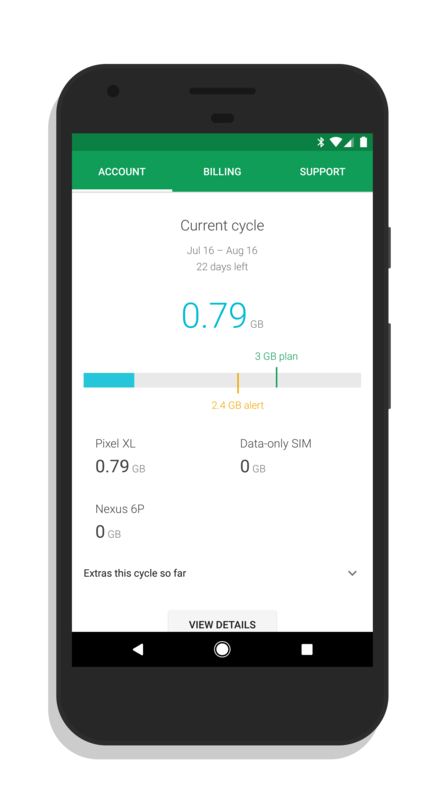 Multiple Project Fi users have reported receiving an email from Google’s MVNO, apologizing for the error and providing them a $10 credit towards their next month’s bill. It’s a small gesture but one that will likely go a long way for the majority of users out there for the trouble they encountered. Not everyone is getting the $10 credit as not everyone was impacted by the error. I, for one, never saw it on either my Pixel XL or on my data SIM I have in an iPad. Google has not indicated just how far reaching the problem was on Tuesday so it is unclear just how many are going to be getting the credit. Ultimately this hopefully will be a good learning lesson for Project Fi. Cutting people’s data or, worst case, disabling their SIM, even accidentally, can have dire consequences in an emergency.